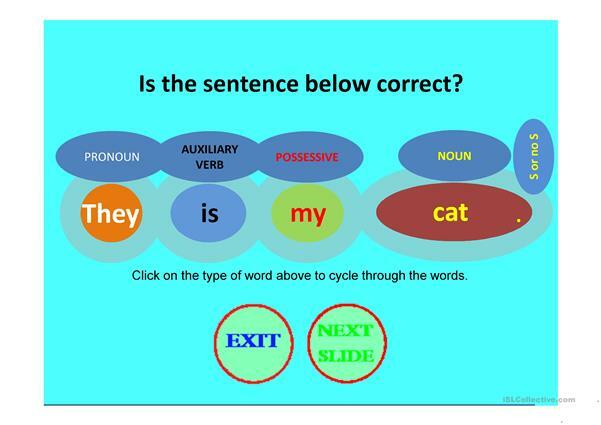 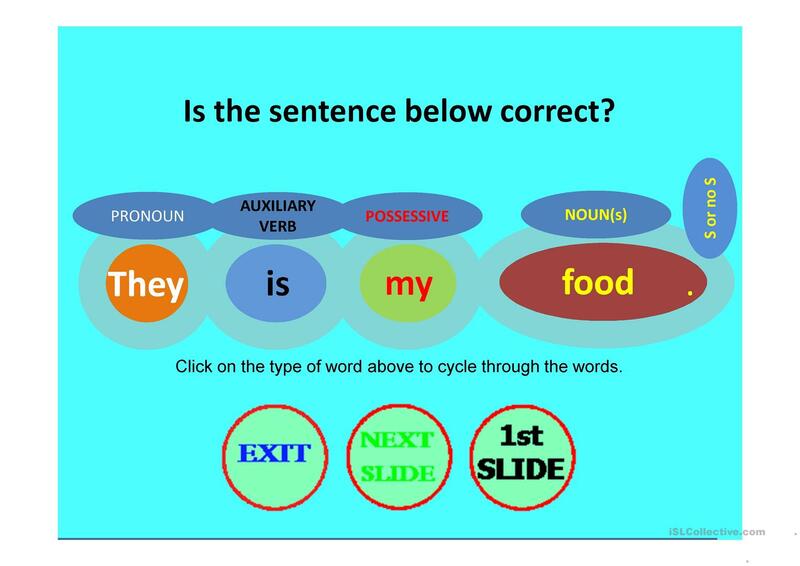 Cycle through the words and ask the students if the sentence is correct. Thousands of sentences can be generated using the spinners (you cannot see). This downloadable teaching material is a great resource for high school students, elementary school students and adults at Pre-intermediate (A2), Intermediate (B1) and Upper-intermediate (B2) level. 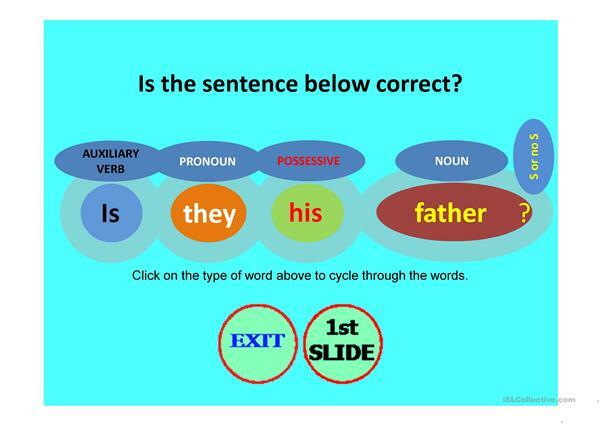 It is a useful material for practising Word order in English, and is a valuable material for improving your class' Reading and Writing skills.